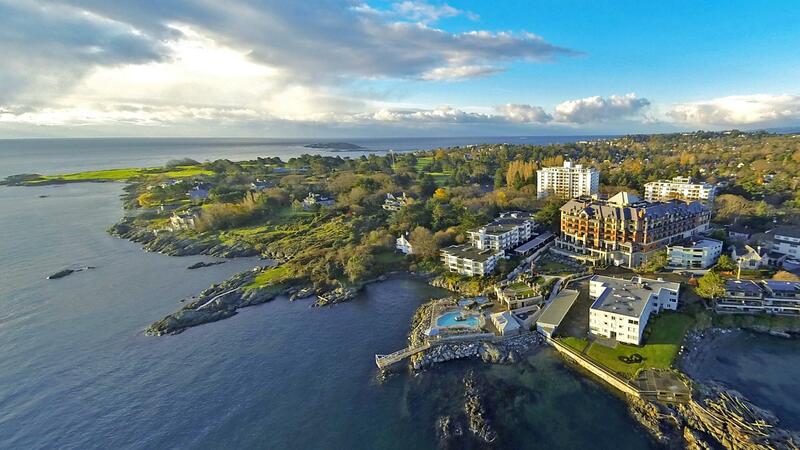 The Oak Bay Beach Hotel was originally built on its prime oceanfront location in 1927. 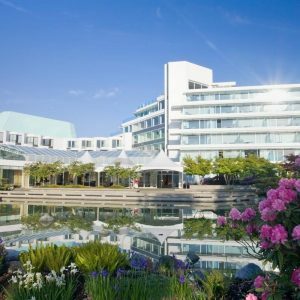 In 2006, the doors to the old hotel were ceremonially closed… and then subsequently removed to be re-installed in the new incarnation of the Oak Bay Beach Hotel in Victoria, Canada. Today, this luxurious full-service hotel with private residences is a unique resort property on the outskirts of the city. 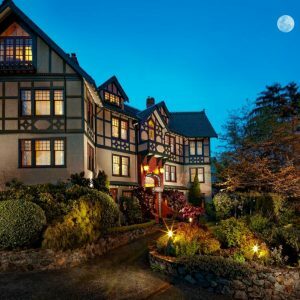 With 100 rooms with ocean or residential views, fine dining in the dining or more casual fare in the Snug Pub, or Kate’s Cafe,the hotel also offers three Seaside Hot Mineral Pool, full service spa, fitness studio and even butler services. 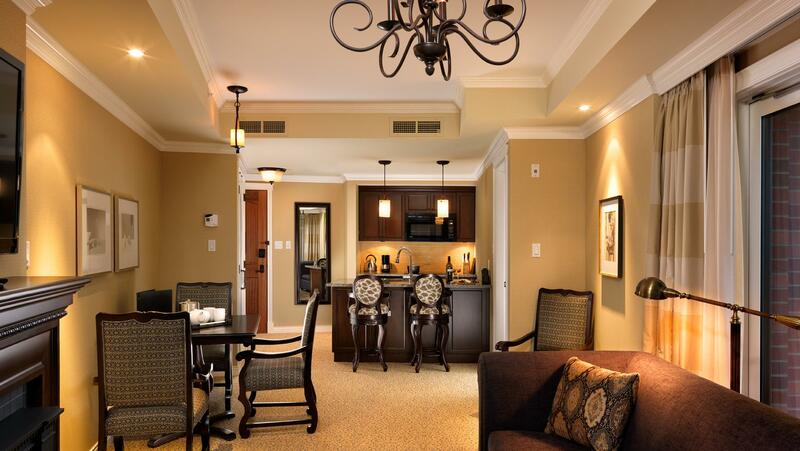 All rooms and suites offer at least one fireplace, large spa inspired bathrooms, flat screen HD TVs and oversized windows. 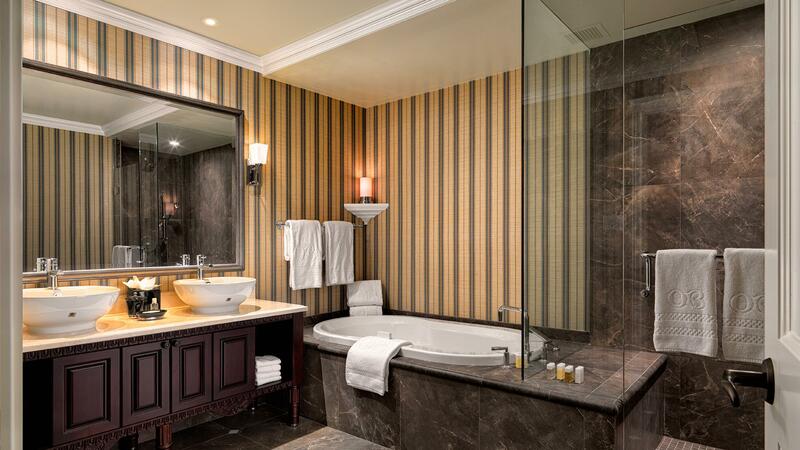 You also gain access to the heated seaside mineral baths, free parking and free high speed WiFi. 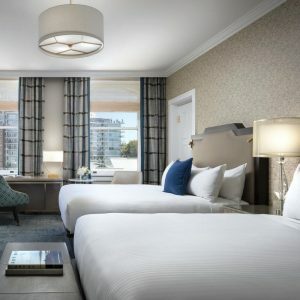 Guest Rooms – Choose from 2 Queens or 1 King Bed options, each appointed with English Manor House-inspired furnishings. 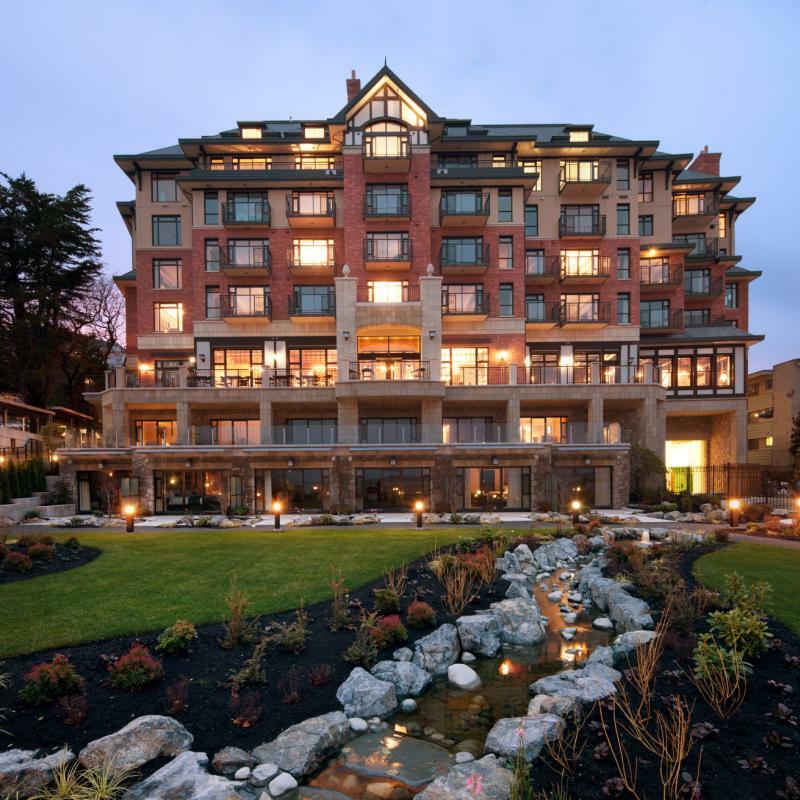 The rooms feature heated tile washroom floor, oversized spa tub, separate rain shower, flat screen HD TV, refrigerator, microwave, and cosy fireplace. Boutique Suites – Equipped with both a kitchenette and small dining table, you can enjoy the views with some additional space. 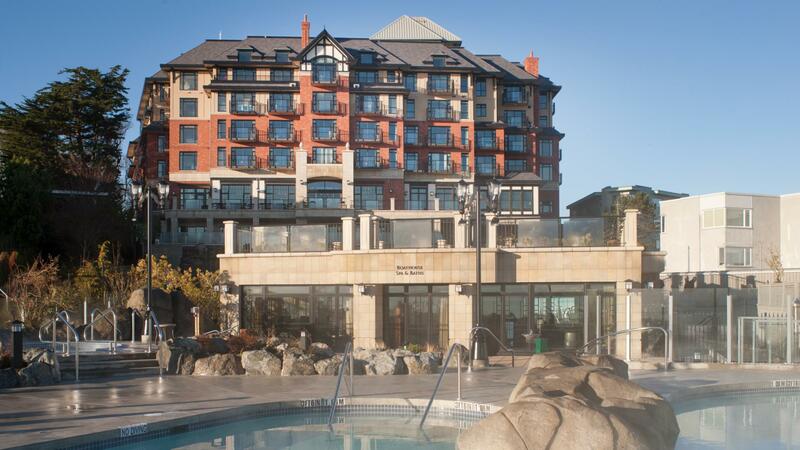 1 Bedroom Suites – Enjoy Oak Bay vistas or stunning panoramic ocean views with a separate bedroom with king bed. Resort elegance with stunning ocean views.